casa de madeira octogonal proporciona uma experiência única costeira. Situado em um bairro arborizado a casa se sente como sua própria casa na árvore. Em dias frios relaxar em frente à lareira a gás e jogar um jogo de tabuleiro. Em dias de sol as atividades são infinitas. À noite, desfrute de uma bebida no grande deck e ouça o vento nos pinheiros. O piso plano aberto do andar superior incentiva o tempo da família. Ambos os quartos estão lá embaixo no térreo com o banheiro e lavanderia. Esta casa está localizada a poucos minutos de distância das incríveis sete milhas da praia de Manzanita, Nehalem Bay State Park, ea pitoresca cidade de Manzanita e Nehalem. Desfrutar de kitesurf em Manzanita, surfar em Oswald Oeste ou fuga correndo Neahkahnie Mountain. Se o relaxamento é a sua ideia de férias, você pode visitar o spa em Manzanita, procure lojas de antiguidades, caminhar na praia ou beber café em um dos cafés locais. Gosta de pescar? Wheeler Marina está a poucos minutos na estrada com barcos e caranguejos para alugar. Em baixa caminhada maré ao longo Nehalem Bay para cavar para moluscos. Aproveite a noite do jogo com um fabricante de pipoca de ar. Felt so welcome here, and it was the perfect distance from everything I had planned to do on the Oregon Coast! Beautiful house and very accommodating. Thank you! Great cabin - loved the top level so much with the fireplace. We enjoyed our stay at this cabin. It was spacious, had a nice kitchen, and lots of natural light. 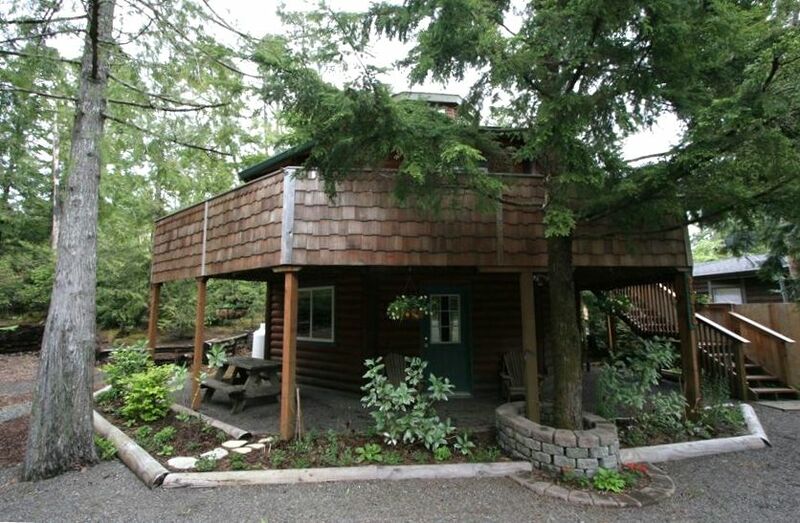 The location was great--next to Manzanita and close to other beautiful beaches and hikes. There was no wifi, however, which is the first I've experienced in a vacation rental, and cell service was spotty so access to the internet was challenging all weekend. I agree with others that there should have been some instructions on how to operate certain things; we had difficulty with the dvd player and wasn't able to get help until the morning we left. We also felt that there were a lot of duties we needed to do before leaving, which made it seem like more of a house sit than a vacation rental. Well-appointed cabin, conveniently located (though you'll need to hop in the car to explore the town, visit the beach, etc). Useful as a home base for exploring the Oregon Coast. We loved the cabin! It was perfect for a getaway with a family. We enjoyed the large, but cozy space upstairs for hanging out together. It felt like we were in a tree house. It was a very unique and memorable stay. The location was great too. It was a very short drive to the cute town of Manzanita and to the state parks. We wish we could have stays longer! We would love to go back! Very clean inside and out along with being modern yet antique at the same time. We are so glad you enjoyed the cabin! Come back soon!